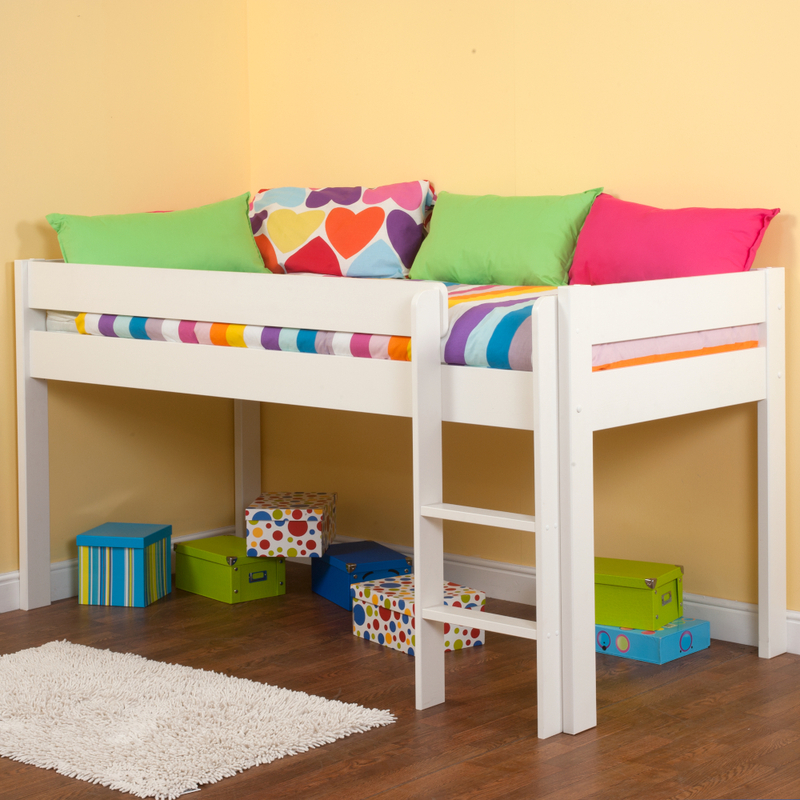 Kids cannot wait to reach the age where they are big enough to sleep in a mid sleeper. 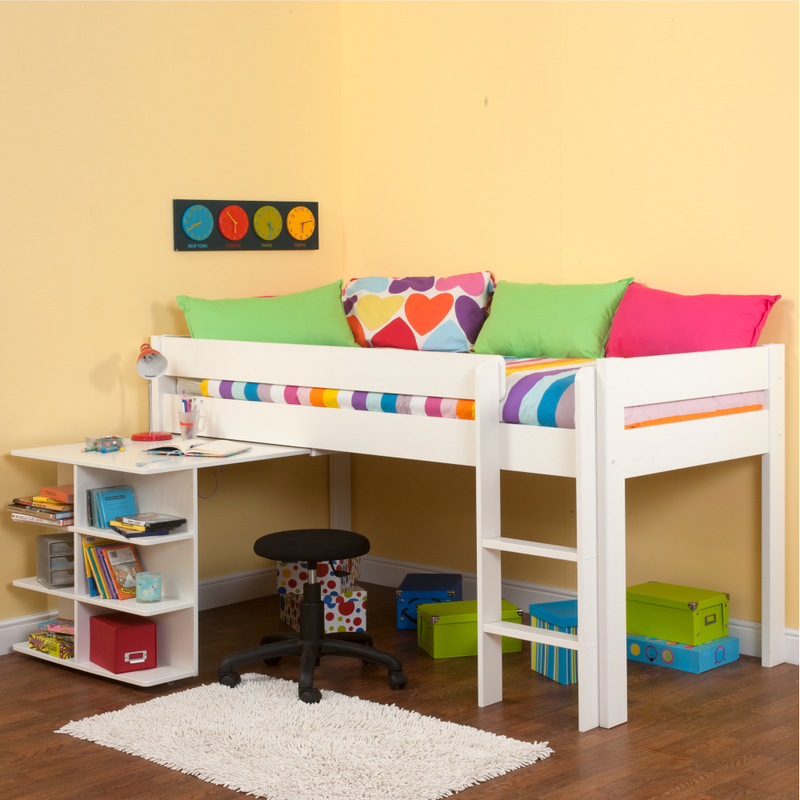 It is a great space saving bed offering masses of functional room under the bed when space is tight, or when you just simply want a bit more than just a bed. 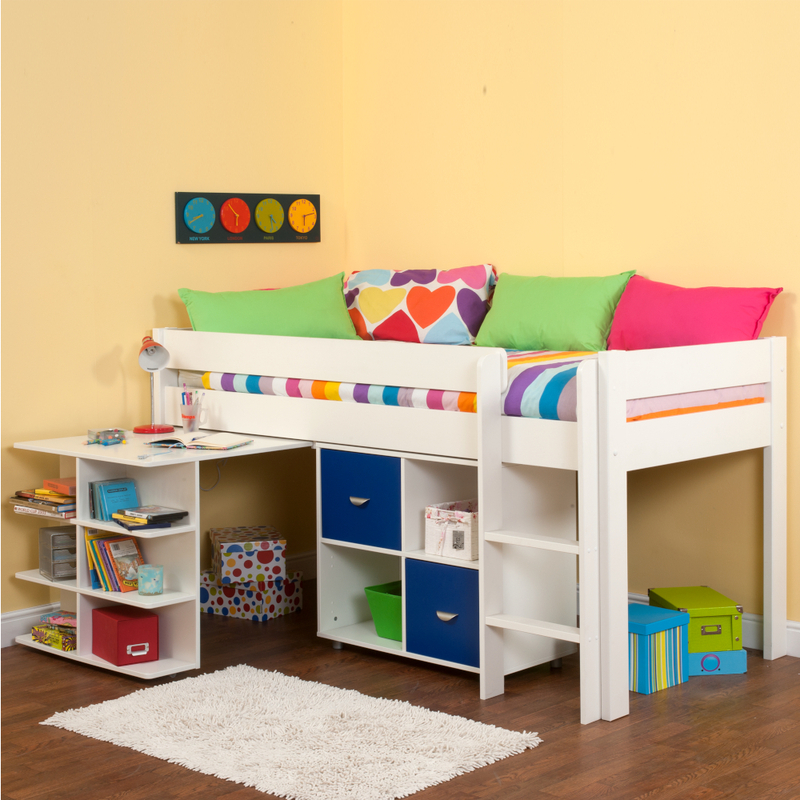 Mix and match between storage units and desk-but remeber to leave a littel space for a "secret" den!